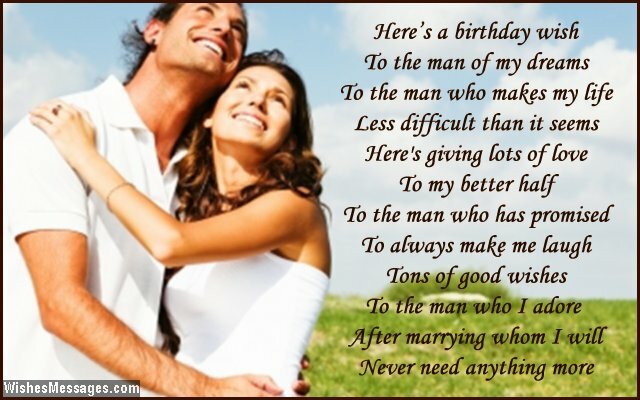 Birthday poems for fiancé: Give your to-be-husband a glimpse of what it will be like to have a wife as sweet as you. 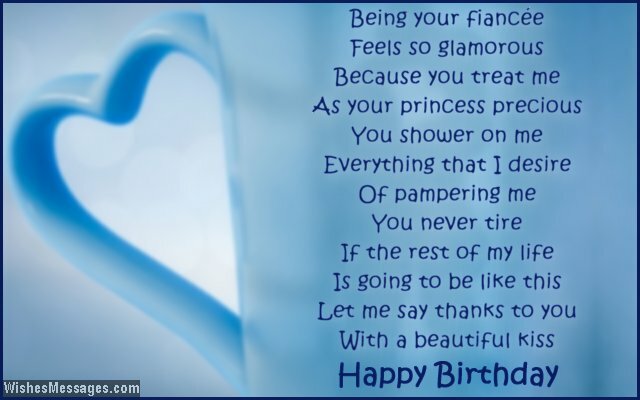 Write a romantic rhyme on a greeting card to wish him on his birthday. Shower him with hugs, kisses and gifts. Throw him a party that goes down the memory lane as one of the best birthday celebration he has ever had. Leave flirty notes in his jacket pocket, write funny quotes about couples on a card, post the sweetest stuff on his Facebook – do whatever it takes to show him how lucky he is to have a fiancée like you. 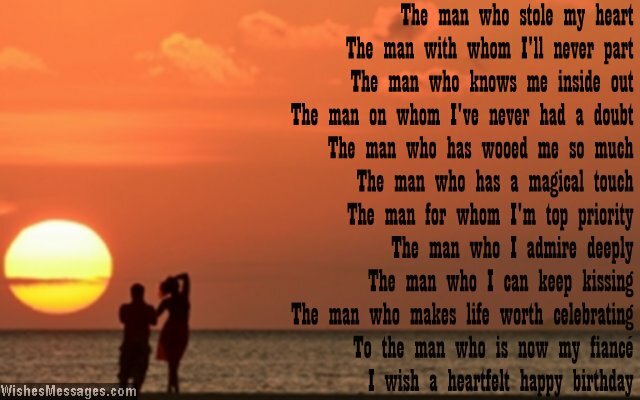 He will think of you as the soul mate who will go on to make every moment of his life magical and special.